Spring Is Fun for Everyone! Mexico Beach, Fla. (April 3, 2018) – Picnics on the sand, riding bikes along the coastal highway, fishing off the pier—all these things and more conjure up perfect ideas about what a spring or summer vacation could look like. In the quaint town of Mexico Beach, Florida, on the state’s northwest Gulf Coast, these are the kinds of things visitors and locals alike enjoy year-round. Spring brings warmer weather, and with it comes the opportunity to build your ultimate beach getaway when you see all the activities in Mexico Beach and nearby areas! On the Unforgettable Coast®, there is something for everyone to enjoy. After a long day on the beach, your rental house or condo will feel like a relaxing retreat. Bring along your favorite board games and cards, cook a delicious meal together, and then head back out with your flashlights to hunt for sand crabs. These are the memories your children will cherish and the experiences they will pass along someday. One of the best advantages of living on the coast is the abundance of fresh seafood! A trip to the Gulf of Mexico surely means the chance to chow down on succulent shrimp, fish, scallops, and more. The locally owned restaurants in Mexico Beach offer a variety of options for all palates. Be sure to check out the famous fish tacos at Killer Seafood, which has been named one of the best seafood dives in the country by Coastal Living, and has a menu full of other delicious meals. Other stops for fresh seafood include Toucan’s, which boasts the best beach views while dining, the Fish House, which is also great for specialties such as steak and prime rib. For those who prefer to create their own Gulf delights, the seafood market at the Shell Shack is your go-to stop in Mexico Beach for fresh catches that you can cook in the comfort of your rental home or condo. The friendly folks at Gulf Foods and Gifts are also available to help find any ingredients you might need. Grouper, snapper, kingfish—oh my! 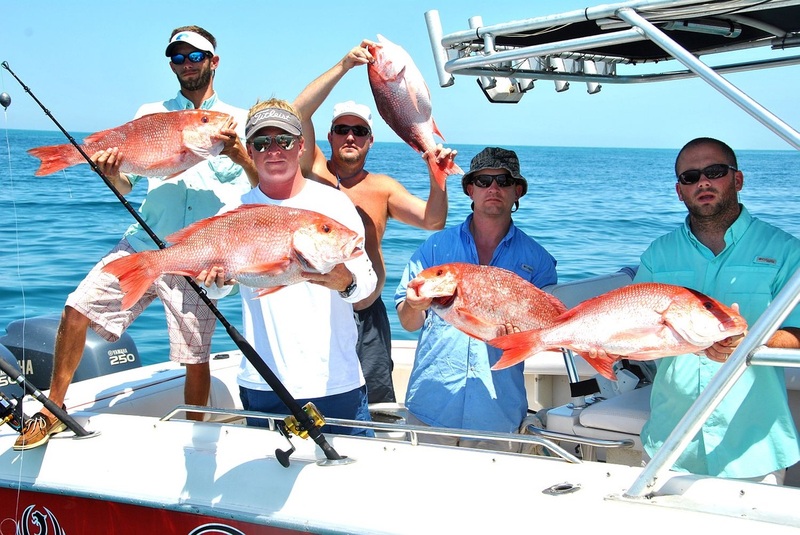 Did you know that the northwest Gulf Coast of Florida has some of the world’s best sportfishing? You do now. With a free public pier, a public boat ramp, and a full-service marina at your disposal, Mexico Beach is paradise for anglers of all ages and skill levels. Thanks to the Mexico Beach Artificial Reef Association (MBARA), the offshore reef system here attracts an ample amount of fish and other marine life, perfect for fishing and diving. Enjoy putting a line in from the beach, the pier, a boat, or even a paddleboard. A State of Florida saltwater fishing licenses can be purchased before you arrive at www.GoOutdoorsFlorida.com, and the area has several license-free fishing days per year. Tournaments take place all summer in and around Mexico Beach, with guests encouraged to join. Check out the Calendar of Events at MexicoBeach.com to get more details on the annual MBARA Kingfish Tournament, Gollywhopper Classic, Offshore Classic, and scallop season in St. Joseph Bay. Visitors to Mexico Beach are encouraged to unplug from devices to better enjoy living in the moment and the beautiful natural surroundings found here, but there is one device that should be on hand—a camera! From taking family photos on the beach to capturing the breathtaking scenery, photographers of all skill levels can capture the magic of life at the beach. Those seeking adventurous shots can take a quick day trip to marshlands, forest trails, and clear springs teeming with wildlife. Postcard-worthy sunrises and sunsets are never in short supply here. If you’re seeking to share your photography, be sure to enter the annual Mexico Beach Photography Contest! It runs from April 1 until July 31, and photographers can submit up to three images in the following categories: Around Mexico Beach, Sunrises and Sunsets, the Beach, Fishing and Boating, People, and Flora and Animal Life. Visit the Calendar of Events at MexicoBeach.com to learn how to enter! The calendar of events around Mexico Beach is robust all year, but spring, summer, and fall offer a great lineup of events for athletes. 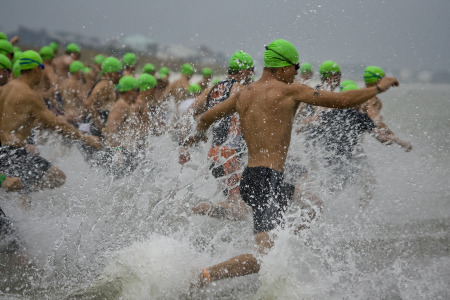 Join in the Beach Blast Triathlon and Duathlon either April 28 or September 8 this year, as hundreds of competitors will enjoy the scenery while they run, swim, and bike their way to the finish line. One of the Florida Panhandle’s favorite pastimes, stand-up paddleboarding, is also getting more competitive this year as the town hosts two chances to join the Mexico Beach SUP Classic on May 19 and September 22. And don’t forget about the annual Thanksgiving Day Turkey Trot, which is the perfect way to start the day on November 22—and an ideal excuse to have that slice of pumpkin pie. 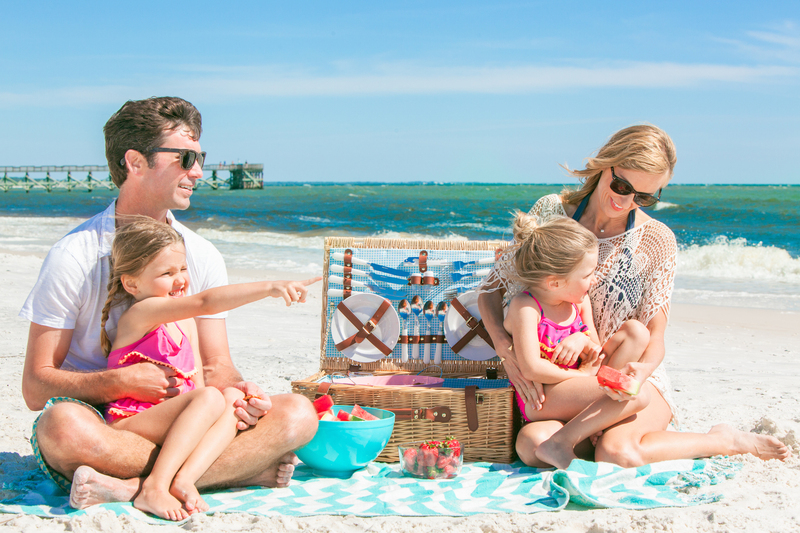 There’s a reason the nickname “The Forgotten Coast” was changed to The Unforgettable Coast® for Mexico Beach—this is the place where people of all ages and all walks of life can relax, enjoy a day at the beach, and make memories that will last forever. This is just a sampling of the many activities and events that Northwest Florida has to offer. It’s time to plan your trip to the perfect little beach town and discover that there’s so much more to love! Visit MexicoBeach.com to plan your trip or request a free Visitor’s Guide today. Follow along on Facebook.com/MexicoBeachFL, Instagram and Twitter (@mexicobeachfla), and the hashtag #LoveMexicoBeach to see all the fun!